If you see me wearing a pair of nerdy glasses like this, please do not ask me if I am blind. I just happen to love this look! No, I have not yet purchased a pair of these geekish goggles yet, but when I do and I actually wear them, I anticipate some questions. I need to just plain get over it. Why should wearing a cool pair of glasses be any different than wearing a cool pair of shoes, a statement necklace, or an awesome cuff? 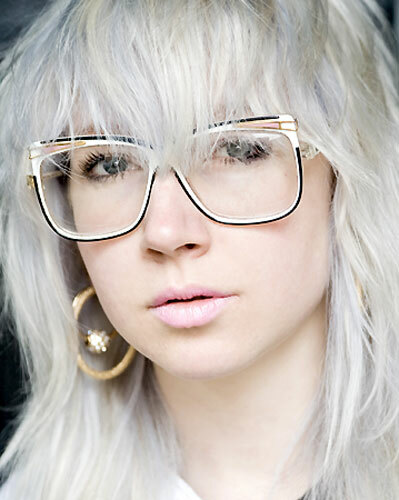 Below you will find the geekish glasses by Chandler that I am obsessing over at the moment! Just look at how cool these ladies look wearing glasses!